Granite floor tiles is an integral part of urban design, granite floor tilesseparating surfaces and providing physical or visual delineation and containment of the pavement construction. Ensure your designs maintain visual appeal. grey,black, pink, green,blue and etc. slab, tile, cube stone meshed and ect. 1 Skid resistance: if the stone surface is chosen correctly, the slate bricks can keep the natural skid resistance. Otherwise it's dangerous when it's wet. Nevertheless, the skid resistance of slate tiles mainly depends on uneven surfaces. 2 light texture. 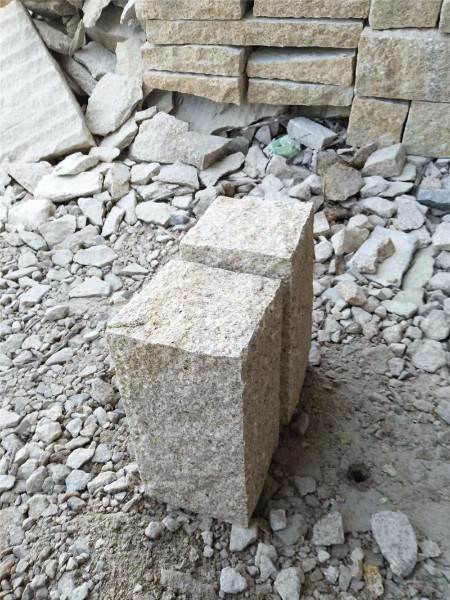 The proportion of natural stone 1/3-1/4, no additional wall support. 3 durable. It is non fading, corrosion resistant, weathering resistant, high strength, frost resistance and good impermeability. 4 green and environmental protection. No odor, sound absorption, fire prevention, heat insulation, no poison, no pollution, no radioactivity. 5 dustproof and self cleaning function: treated by water proofing agent, it is not easy to stick dust, and it can clean itself as rain and rain. We can arrange transportations for you, or you can choose the one you like, Timely and delivery is our service tent. Color options: Grey, yellow, white, pink, black ,etc. Finished: Polished, Flamed, Honed, Split, Tumbled, Sandblasted, Chiselled, Bush-hammered, Mushroom, etc. 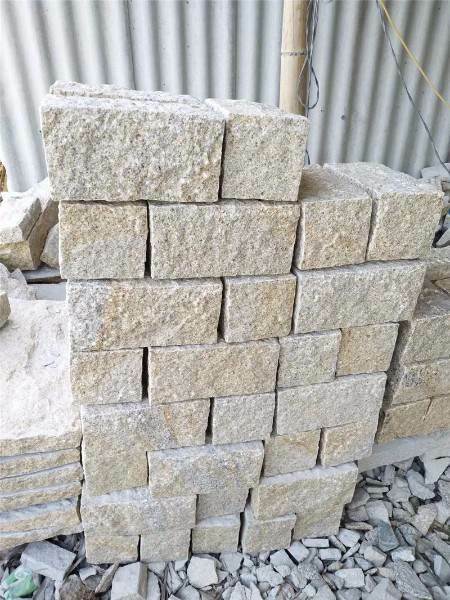 Application: Kerbstone in garden, commercial and residential, Building areas, plazas, seacoasts, railways and port station, construction. 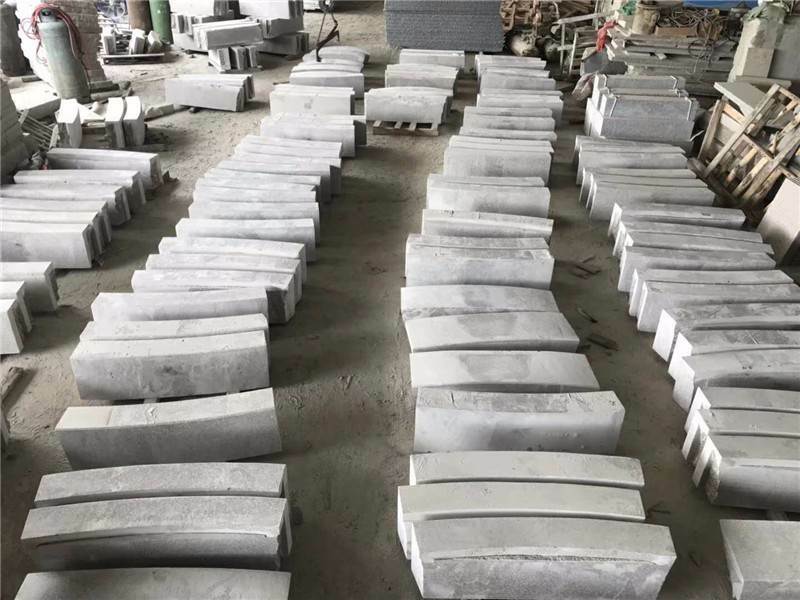 Laizhou Kingstone Co., Ltd is a direct manufacturer of construction stone, we have more than 10 yearsexperience in this line of business. 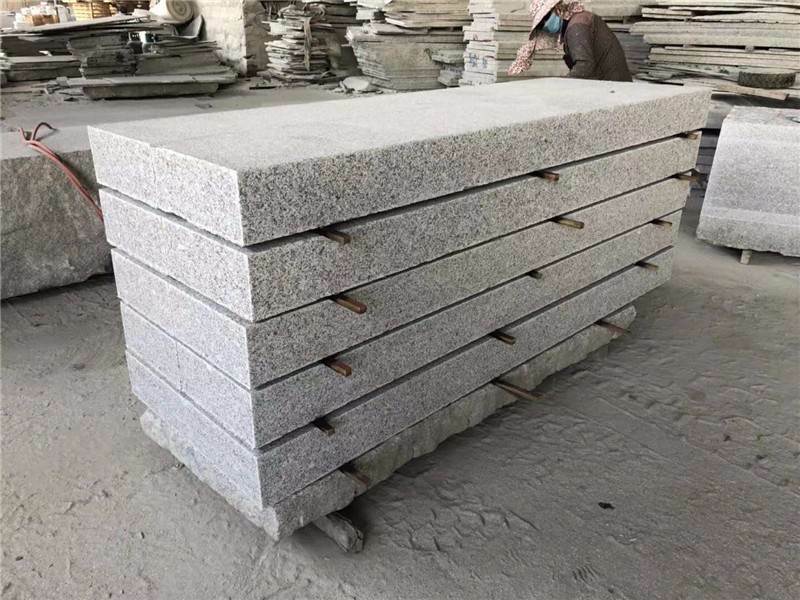 We design and manufacture a wide range of natural stone, offering an extensive choice of colours and designs, which are available for floor, wall, paving, tops, stairs, willdow sills, swimming pools, etc. whatever you need, we can do for you. Welcome your inquiry & your trial order. If you are interested in any of our products, don't hesitate to contact us! 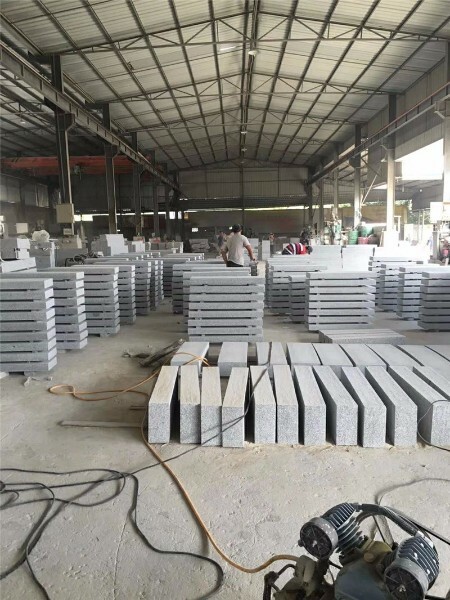 We always looking forward to offer you our accurate and favorable price as well as our quality products with quality service in the coming future.